From the 1999 Christie’s Auction, The Personal Property of Marilyn Monroe, a soft leather belt in brown, ornamented with gold tone fleur-de-lis and French coat of arms. 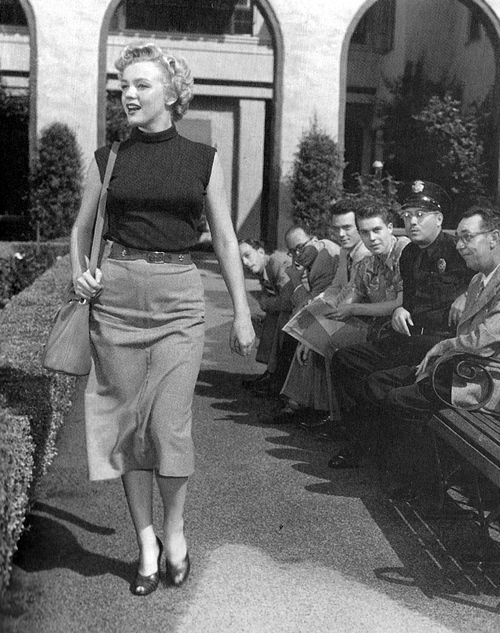 Marilyn wore this belt in 1951 in the images shown below. 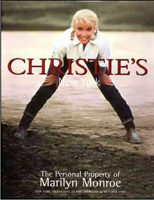 Marilyn was 5’5” tall, and her weight naturally varied over the years. Her measurements varied also. When fastened, this belt measures 27 inches. Click here to learn the truth about Marilyn’s true size.